In conventional java programming, you will never need address or location of a java object from memory. When you discuss about this in forums, the first question raised is why do you need to know the address of a java object? Its a valid question. But always, we reserve the right to experiment. Nothing is wrong in exploring uncharted areas. I thought of experimenting using a little known class from sun package. Unsafe is a class that belongs to sun.misc package. For some of you the package might be new. You need not worry about it. If you have sun’s JDK then you have this class already. When a class name is “Unsafe” in java, it calls for your attention immediately. Then I decided to dig deep into it and find what is unsafe about that class. Voila, it really opens up the pandora’s box. Its difficult to find the source of Unsafe. Get the source and look at the methods you will know what I am referring to. Java’s security manager provides sufficient cover and ensures you don’t fiddle with memory that easily. As a first step, I thought of getting the memory location of a java object. Until the exploration, I too was 100% confident that it was not possible to find the location / address of an object in java. Sun’s Unsafe.java api documentation shows us an opportunity to get the address using the method objectFieldOffset. That method says, “Report the location of a given field in the storage allocation of its class“. It also says, “it is just a cookie which is passed to the unsafe heap memory accessors“. Whatsoever, I am able to get the storage memory location of an object from the storage allocation of its class. You can argue that, what we have got is not the absolute physical memory address of an object. But we have got the logical memory address. The following program will be quite interesting for you! As a first step, I have to get an object of Unsafe class. It is quite difficult as the constructor is private. There is a method named getUnsafe which returns the unsafe object. Java’s security manager asks you to make your java source code privileged. I used little bit of reflection and got an instance out. I know there are better ways to get the instance. But to bypass the security easily I chose the following. Using Unsafe’s object just invoke objectFieldOffset and staticFieldOffset. The result is address / location of object in the storage allocation of its class. Comments on "Address of a Java Object"
Nice try. Keep it going. Hey thanks for posting this valuable info. When try executing the given program getting the below error.. Superb try! very nice! Keep it up!!!!! Really gud article.. its nice 2 read ur all articles.Keep it up !!! hey its GOOD. keep it up. The output of the java program is not the address of the field(s) but the offset of the field in the object. 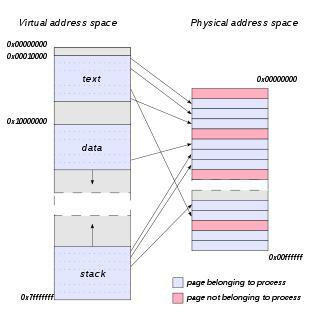 Well you CAN get an object’s address in physical memory using JNI. I realize this is a relatively old post, but if you are still interested let me know! N. ZAZA I am interested in getting the physical address in JNI any tips? this question is asked to me in interview ……..
Misleading. This only finds an offset within the class/object, not an actual location of anything in memory. it gives us an o/p which seems as the address of that object. is it correct and if correct why ?? No, its not the address of the object. Its just a string representation of the object. Which consists of class name and the hash code in hexadecimal format. Comments are closed for "Address of a Java Object".